Making homemade mayonnaise doesn't have to be a major effort, and you don't need to wait until you're scraping the bottom of your store-bought mayo to make your own. Making homemade mayo can be a fun project to do with kids, and it's a wonderful starting point for making all kinds of salad dressings, like blue cheese, Thousand Island, and ranch, as well as sandwich spreads like Russian dressing. For starters, a light, neutral-flavored oil like safflower or canola oil will give the best results, but once you've mastered the technique, you can start experimenting with oils that have more distinctive flavors, like walnut oil, avocado oil, or hazelnut oil. 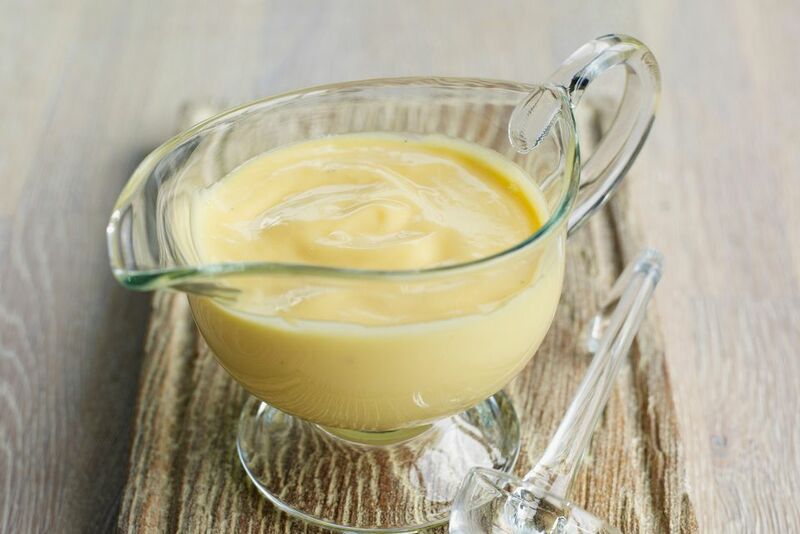 Making mayonnaise is a matter of creating an emulsion of egg yolks and oil. The acid in the vinegar does more than add flavor--it increases the amount of oil the egg yolks are able to absorb, which makes the emulsion more stable and less easy to mess up. But those acidic ingredients are also essential flavorwise. Egg yolks and oil are both ingredients with relatively mild flavors, so the vinegar and lemon juice, as well as the vinegar in the Tabasco and mustard, help to wake things up. A couple of notes. One, use a glass or stainless steel bowl to make your mayonnaise. The typical electric stand mixer (i.e. KitchenAid) features a stainless steel bowl, so you're fine. The issue is that aluminum bowls react with the acids, which will cause both a metallic flavor to be imparted to the mayo, as well as a slightly grayish hue. And two, if your emulsion should break, you can fix it by forming a new emulsion. Grab a clean bowl, add a teaspoon of lemon juice and whisk in a tablespoon or more of the broken sauce. Once that has emulsified, you can go ahead and slowly drizzle in the rest of the broken mayonnaise, while whisking continuously. A stand mixer is definitely best for making mayonnaise, although an electric beater is also effective. Here's a tutorial on how to make mayonnaise. Store unused mayonnaise in the refrigerator, where it should keep for a day or two (or longer if you use pasteurized eggs).